Mat Irvine spotted the next Revell reissue of a classic Renwal military kit when he was at the iHobby Expo recently. 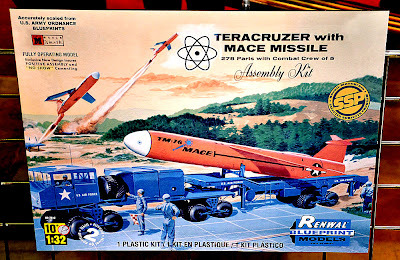 It will be the futuristic Teracruzer and Mace missile set, and as you will read in Mat’s article later today, there’s been a sea-change at Revell where packaging is concerned. Instead of the photo-style ‘History Makers’ packaging previously used, the Mace and other kits are now being treated to a revamp of the original Renwal boxes - and that’s excellent news, for they really were designs of their time, and deserve to be seen again. 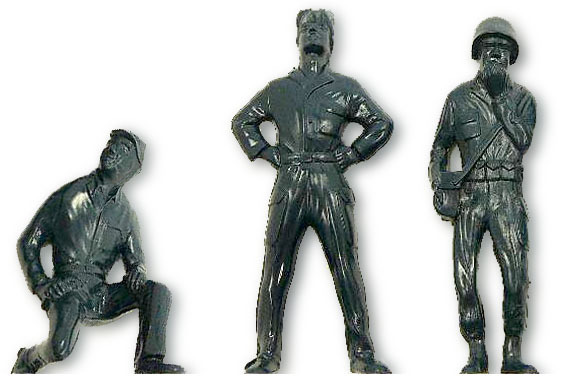 Inside the brightly coloured box of the 1:32 scale Teracruzer and Mace kit, you get 278 components, including a combat crew of five figures, three of whom are shown below. 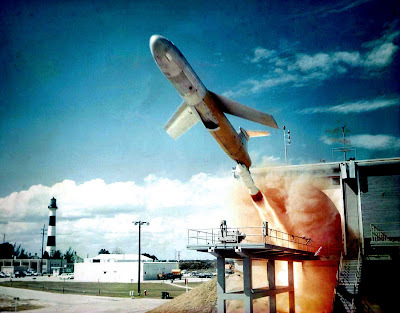 The Mace was a nuclear-tipped winged missile, launched straight off its transporter-launcher with the aid of a rocket booster, which dropped away after a short but powerful burn, after which a turbojet engine cut in for the cruise portion of the flight. Typical speed was around 1050 km/h (650 mph), and maximum target range some 2250 km (1400 miles). 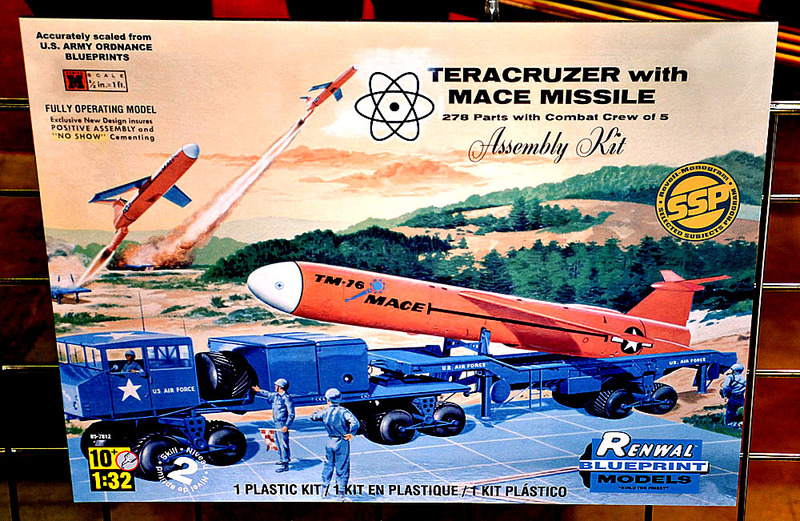 Renwal correctly prefixed the Mace with the tactical missile designation TM-76 (see cover art) though this was changed in 1963 to MGM-13, denoting the mobile launch version - the CGM-13 could launch straight from a storage container. 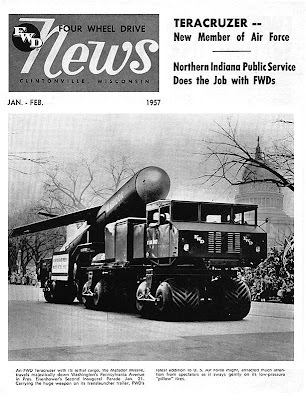 The MM-1 Teracruzer was a balloon-tyred transporter, those massive rubber do-nuts (named Rolligons) allowing for off-road travel, even across ploughed fields - just the terrain found in Germany where the weapon system was deployed. Having said that, experienced opinion from a serving officer of the time reckoned that a nine-man crew was needed, and that they were based mostly on hard-standings, with shelters: “...to keep the weather, especially Germany’s freezing fogs and snow, off the ‘birds’”. The last Mace missile was decommissioned in 1969, but Teracruzers haven’t disapppeared entirely. They can be found here and there in civilian jobs - apparently one still works hard in an Alaskan gold mining operation!